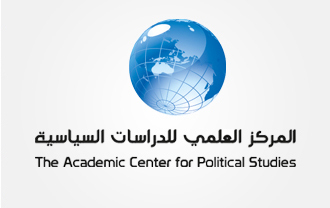 ACPS releases a series of arbitrated academic studies that addresses various theoretical aspects of political studies. The series basically focuses on the theoretical frameworks in the fields of political systems, international relations and the theory of politics. All various contemporary diversions and branches of such fields are also highlighted. The series is supervised by a selected group of specialized Arab professors of political sciences. ACPS cordially invites specialized Arab professors and interested researchers to contribute their writings to the series. An award of $500 will be offered to every approved paper. Researchers can also agree, in advance, with ACPS on a certain research project that suites the nature of this series. 1. The paper must be one that has not been published or presented for publication before. Furthermore, intellectual rights must be exclusive to the researcher himself/herself. 2. The paper must adhere to the common academic and scientific criteria. 3. The paper must range between 60-80 A4 pages, including notes and references. 4. Two typed copies, together with an IBM-compatible disc, must be presented. 5. A copy of the researcher’s resume must be attached. - Books: author, title, publisher, year of publication, page number. - Periodicals: study title, title of periodical, year, page number. 7. After the paper has been tentatively approved by the Editing Board, arbitration procedures follow. The researcher will be notified of the nature of these procedures. Note: All papers must be forwarded to the ACPS address. Prof. Waleed Abd El Hay, Former Head of the Department of Political Sciences at Yarmouk University, Jordan. Prof. Muhammad Safei El Deen Kharboush, Assistant Director of the Institute of Political Sciences for Graduate Studies, and former Vice Dean of the Academic Research Deanship at Al El Bayt University. Presently a Professor of Political Sciences at the University of Cairo. Prof. Hassan Hamdan Al Alkeem, Former Head of the Department of Political Sciences at the University of Emirates. Prof. Mustafa Alawi, Professor of International Relations at the University of Cairo. Prof. Saif El Deen Abd El Fattah, the University of Jordan. Prof. Ahmad Sa’ed Noufal, Head of the Department of Political Sciences at Yarmouk University, Jordan.